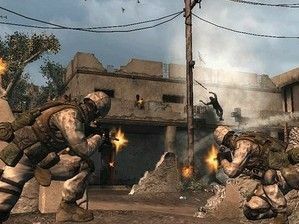 Konami is no longer set to publish controversial Iraq war game Six Days in Fallujah, following the media controversy over a game based on such a recent, high profile real-world battle. "After seeing the reaction to the videogame in the United States and hearing opinions sent through phone calls and email, we decided several days ago not to sell it", a PR official for Konami told Japanese site Asahi. "We had intended to convey the reality of the battles to players so that they could feel what it was like to be there." Fallujah was never actually announced by Konami as a European or UK release and – as per TechRadar's interview with SAS veteran Andy McNab – the actual real-world event the game was to be based on is much more deeply ingrained in American Iraq War 'folklore' than it is outside of the US. It is not yet clear whether or not developers Atomic Games will look for a new publisher for Six Days in Fallujah.